When you think of beach living with warm temperature year around it's hard to not think of living in Hawaii. Many have invested in Hawaii Real Estate on a full time basis or as a part time vacation residence due to the high demand of housing and the typically good return on their investment. Buyers have a wide variety of housing to choose from depending on which island you want to live on the neighborhood amenities you want to have. Hi-Rise condo buildings in the Honolulu area tend to be the hot ticket right now with many brand new construction buildings under construction. These are typically priced above the million dollar price point and offer wonderful ocean views and a beach close location. Below is our guide to Hawaii Real Estate Please contact our local agents at 808-206-8843 with any questions. 1) There is no better place to find beach front homes than Hawaii. There is a wide variety to beach front homes on all of the islands and real estate prices can vary a lot depending on which part of the island you decide to live. 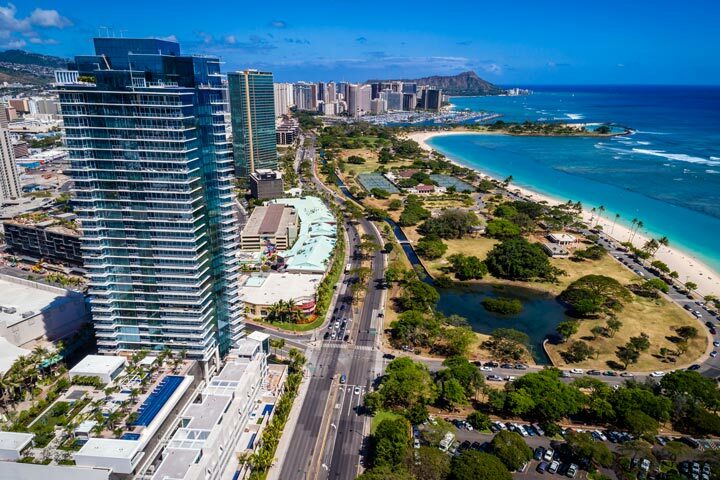 For example, on Oahu the most expensive real estate tends to be in the most desirable locations like the North Shore, Waikiki, Kahala and Hawaii Kai. Within these areas is a mixture of residential homes, condos and townhouses located right next to the beach. Other areas of Oahu tend to be more affordable with lower price points. 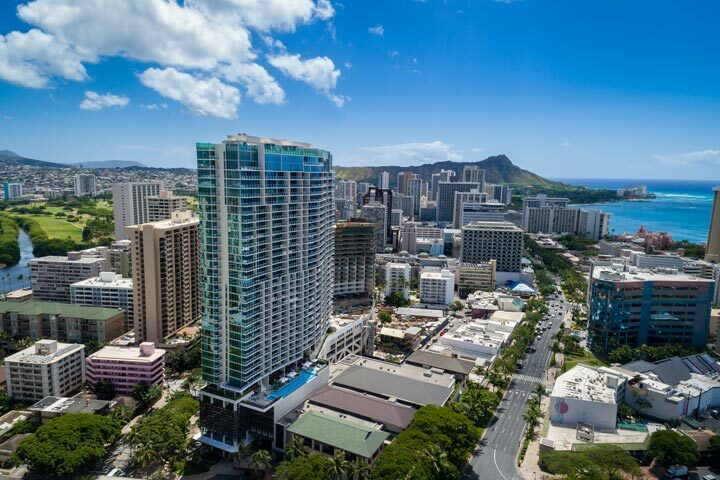 2) Condo living has become very popular as many new construction buildings are currently being built in Honolulu between the downtown area and the Ala Moana shopping center. The builders typically offer pre-sale condos before they are built to buyers looking to customize the features and amenities found inside the condo. Many of these buildings will sell over 50% of the condos before the building has come to competition. Based on information from the Multiple Listing Service of the HiCentral MLS®, Ltd. active listings last updated on April 24th, 2019 at 3:10am PDT. Information is deemed reliable but not guaranteed. Copyright: 2019 by the HiCentral MLS®, Ltd.